It's the question on every bloggers lips. What camera do you use? What set up do you use? Where do you take your photos? A picture can say a thousand words so having use of a good camera can make all the difference. 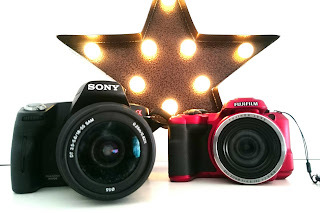 Picking a camera is a total minefield, there's thousands to pick from all with various 1 star and 5 star reviews and you can't really tell if your going to love a camera until you get it home and try it. Due to this I have two cameras, an DSLR and a normal digital camera. There are some fab middle ground cameras on the market now, that not only offer the ability to do awesome close up photography but don't weigh the same as a small child like my Sony A100 DSLR does. Premium compact cameras such as these from Panasonic offer high quality images, without breaking your back. My Sony A100 DSLR camera offers fantastic quality images but due to the sheer weight of it, I only tend to use it for my OOTD posts and special events such as weddings. Another downside is the utterly mammoth file size of the images but the more pixels the more memory. My normal digital camera is one I brought when I went to Florida it's a Fujifilm FinePix S8600. I wanted a cheapish one that wouldn't really matter if it got bashed about on the flight or in Disneyland and with its good reviews I decided to go with it. It's not amazing quality but it does the job and in Macro it does a pretty good job of close ups. Photography is such a hard skill to master, there is so much choice on the market and so many add ons and new lenses that I for one generally get lost. 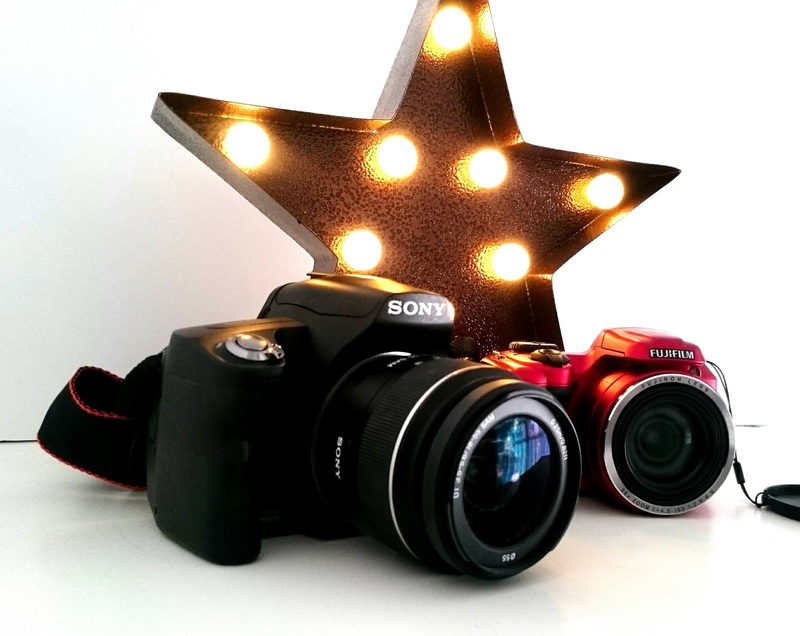 There are some great online resources to help you make the decision that's right for you What Digital Camera has a great article about it, that's deffo worth a read! *this is a sponsored post. Please see my Disclaimer/PR page for more details. Picking a new camera is indeed an entire minefield! I'm switching between a DSLR & a smaller pocket camera (fujifilm x20) depending on where I'm going! I also have a really old and crappy small camera, which is fantastic to bring there's relatively large risk that I'm going to lose/break my camera. Like on an adventure day etc.